Pitch Perfect | Young Enterprise N.I. Young Enterprise NI Judges: Eleanor McEvoy, Business Owner and Dragons Den star, Pete Snodden Breakfast show host Cool FM and Bill Wolsey Hospitality Entrepreneur, joined Carol Fitzsimons MBE, Young Enterprise NI Chief Executive at the official judging of this year’s student Company of the Year. 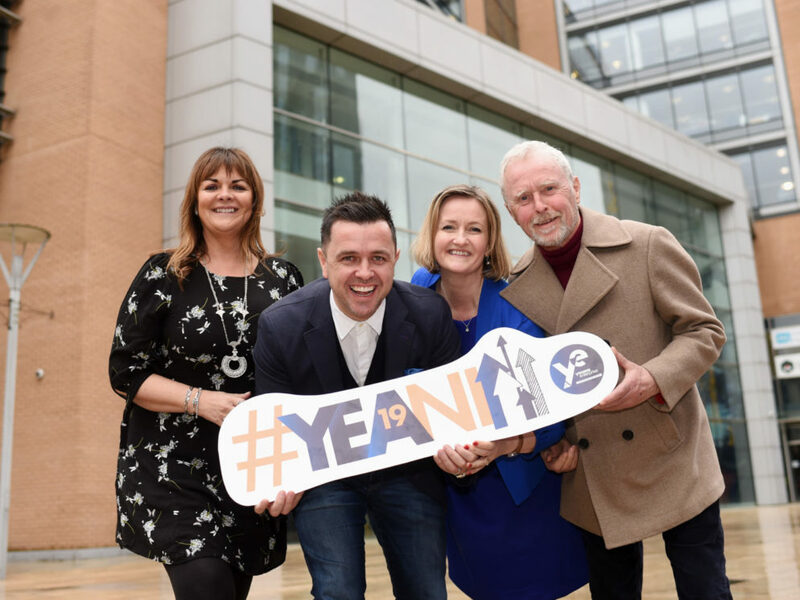 In September 2018 schools from throughout Northern Ireland took up the Young Enterprise NI challenge of setting up their own business. 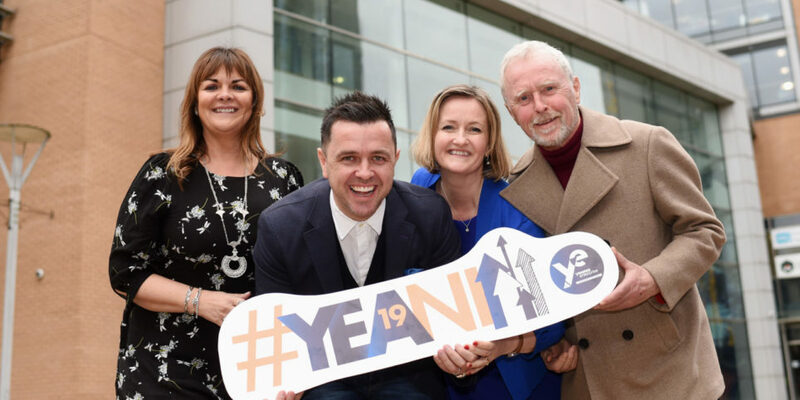 On Friday our top eight companies, selected during regional heats, went head to head pitching their extraordinary ideas and innovative companies to our judging panel in the bid to become Young Enterprise NI Company of the Year at the Young Enterprise NI Finals at the City Hall this week. The eight finalists include: Mood Scents – Foyle College, L/Derry; Essentialz – Christian Brothers Grammar School, Omagh; Aspire – Royal School Dungannon; Form a Flame – Lurgan College, Compresso Cups – Friends’ School, Lisburn; Renu – Glenlola Collegiate School, Bangor; Tenacity – Belfast High, Newtownabbey and Rag Dogs – Bloomfield Collegiate School, Belfast. The winning student Company will go on to represent Northern Ireland in the UK final next month.